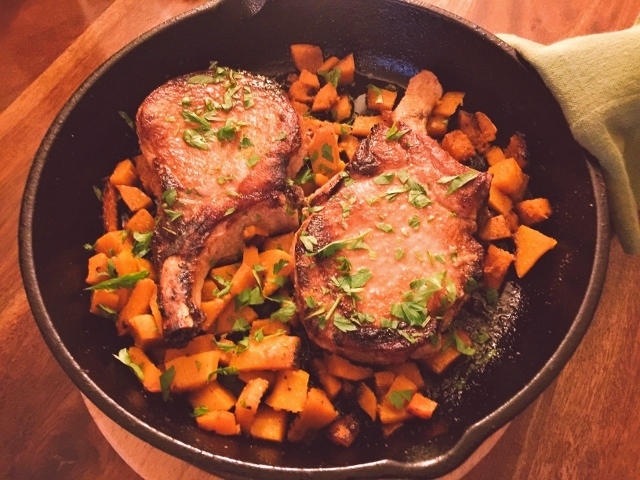 Skillet Pork Chops & Butternut Squash - Recipe! - Live. Love. Laugh. Food. Pan seared pork chops are one of the easiest and most delicious things you can make during the week. If you cook them properly, the meat is super moist and should have a slight pinkish hue. 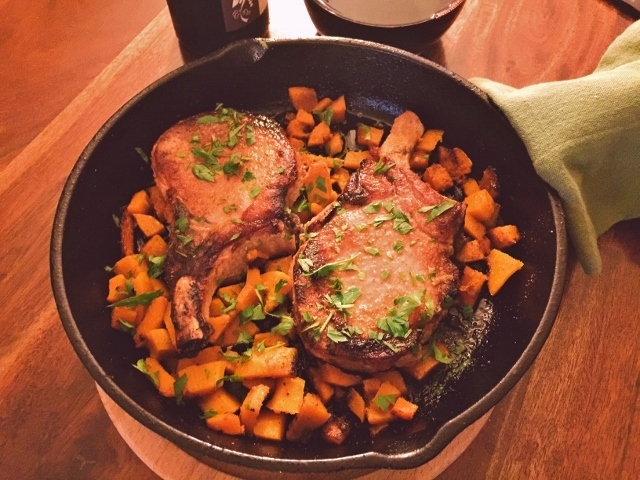 Pork Chops and fall go hand-in-hand because they pair so nicely with roasted apples, pears, pomegranates and winter squash. It’s now time for butternut squash to shine and you can find them in grocery stores already peeled, diced and ready-to-go, my kind of preparation. 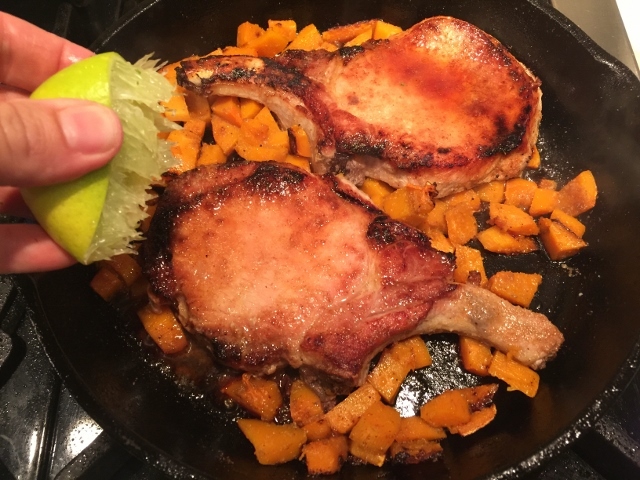 When cooked, winter squash is sweet and savory – it’s one of my favorite fall things, especially with pork. In this recipe, I lightly rub the chops in an herb mixture of cumin, oregano, paprika and brown sugar – this gives them a sweet & earthy expression. This combination of spices is wildly aromatic and makes them super juicy and tender. 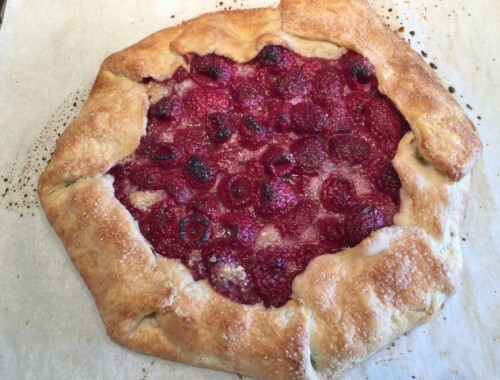 The entire meal can be made in 20 minutes, including prep time. Cleanup is even faster – only one skillet! 1. 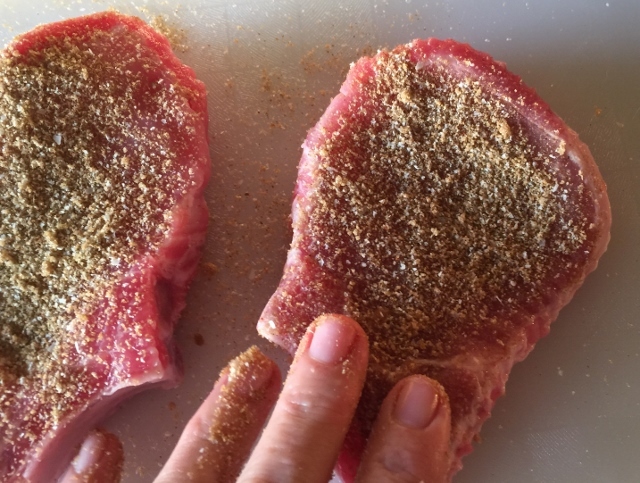 Remove pork chops from any packaging and pat dry with a paper towel. In a small bowl, mix together cumin, oregano, paprika, onion powder, brown sugar, salt and pepper. Sprinkle dry herb mixture on both sides of chops and rub into meat, leaving 1 tablespoon of mixture for squash. 2. 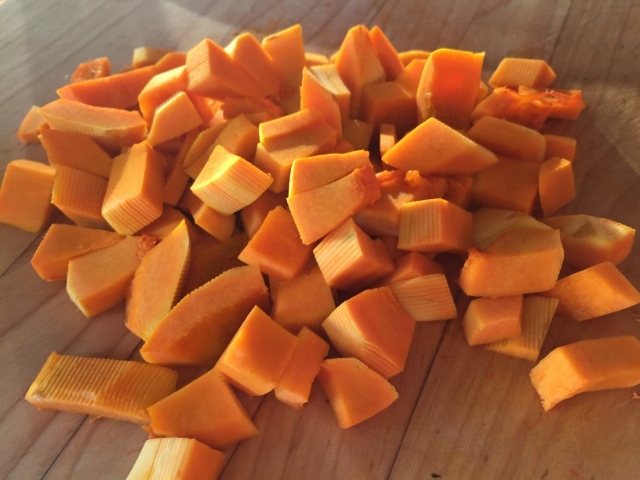 Remove butternut squash from bag or dice up your own into 1/2 inch chunks. If chunks are too large, dice into smaller 1-inch pieces. 3. In an iron skillet, add 2 teaspoon of oil and place over medium-high heat. After 2 minutes, add chops and sear for 4 minutes. Flip chops over and add diced squash. 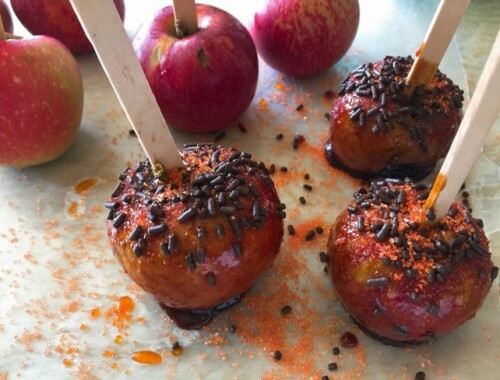 Sprinkle remaining rub over squash and toss gently with spoon. 4. Add 1/4 cup water to pan and turn heat to medium-low, cover with lid slightly ajar and continue cooking for 4 minutes. Remove lid and squeeze lime juice over pork chops. Continue to cook for 3 minutes, or until squash is fork tender. Sprinkle entire skillet with parsley and serve. Enjoy! 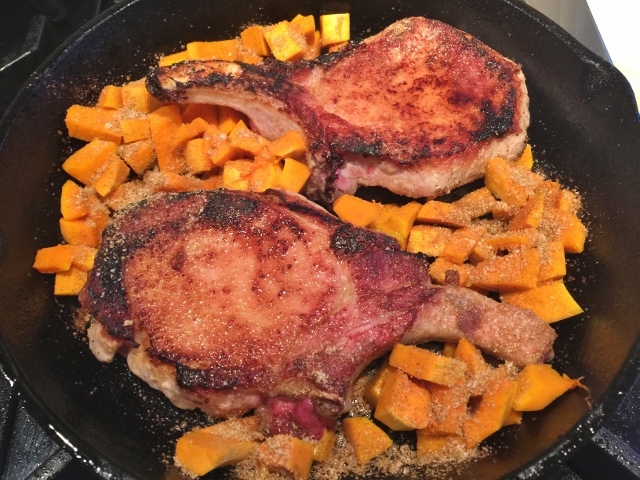 Butternut Squash Recipescooking with Gena BellFall Pork ChopsIron Skillet CookingOne Pot WondersPork Chops RecipeSkillet Pork Chops & Butternut Squash - Recipe! 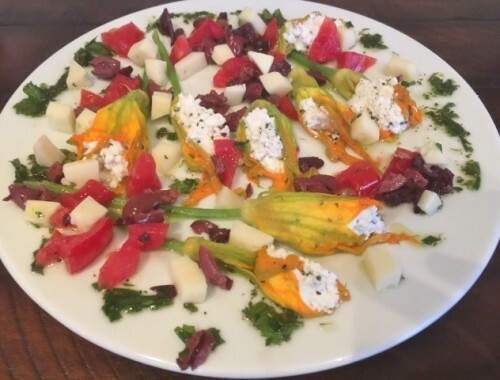 Squash Blossoms with Warm Herb Ricotta – Recipe!